Are you looking for authorized Lenovo laptop service centre in Noida for repair warranty or non-warranty Lenovo laptop? 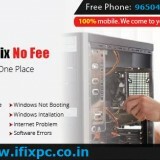 If your answer yes then I FIX PC is the best option for you which provide you complete hardware and software solution at your residential or commercial areas by trained a professional engineer. We support all the Lenovo laptop models like Lenovo Idea Pad, Lenovo V Series, Lenovo Think Pad, Lenovo Yoga and Lenovo Legion. Our Lenovo laptop service centre is in G232 Sector 63, Noida, Uttar Pradesh 201307. Visit our site to know more information . 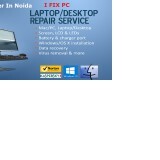 https://www.ifixpc.co.in/lenovo-laptop-service-center-noida.